ENVÍE SU TRABAJO DE INVESTIGACIÓN A SLAOP 2019! OR FAVOR LEA CUIDADOSAMENTE LAS SIGUIENTES INSTRUCCIONES ANTES DE ESCRIBIR SU RESUMEN YA QUE NO PODRÁ HACER MODIFICACIONES UNA VEZ QUE LO ENVÍE. 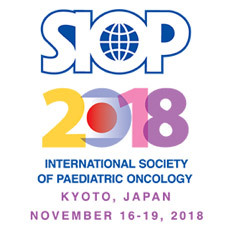 49th Congress of the international Society of Pediatric Oncology. It is the world's premier platform focussed on childhood CNS tumours. They are also focussing on issues relevant to LMIC and have a session dedicated to it. 2016 Cancer Cytopathology Young Investigator Challenge. Cancer Cytopathology, a monthly peer-reviewed journal of the American Cancer Society, is pleased to announce the 2016 Cancer Cytopathology Young Investigator Challenge. El evento será realizado del dia 27 al 30 de noviembre de 2014, en la ciudad de Brasília, Brasil. EN HOMENAJE A DR. NORMAN JAFFE. El día Sábado 24 de Mayo iniciamos las reuniones para la organización del próximo Congreso SLAOP en la Ciudad de Puebla, México.